Passed away September 18th, 2017 in Cambridge Ontario at the age of 46 years. Brian was born to Freeman and Florence on March 7, 1971. He graduated high school in 1989. On September 18, 1995 Brian and his brother Herman moved to Ontario in search of work. He later returned to NL where he attended college in Stephenville. Shortly after college he returned to Ontario. Brian loved being around his friends and adored his family. He leaves to mourn with fond and loving memories his parents Freeman and Florence; Sister Roxanne (Kelsey); Brothers Ivan (Sandy), Jason (Joyce) and Herman (Teraceta); Nephews Marcus, Gregory, Riley, Donovan and Rodney; Nieces Madison and Emma; Aunts and Uncles Willis (shirley) Whyatt, Neine (Richard) Mitch­elmore, Nina Hill, Ben Denney, Hedley (Faye) Richards, Harrison (Judy) Richards, Hubert (Barbara) Richards, Lester (Viona) Rich­ards, Alma (Wayne) Burden, David (Jackie) Richards, Penny Kin­sella, Ben (Neta) Richards, Patsy (David) Mugford, Leona (Richard) Richards, Scott (Debbie) Richards & Pam (Brad) Whitten. Brian was predeceased by Grandfathers Benjamin Richards and John Richards, Aunt Ev­elyn Denny, Uncle Albert Hill, and relatives Glenn Richards, Jean Patey, Dana Richards and Tyrone Burden. Visitation began at Kerry M. Fillatre’s Funeral Home in St. Anthony and then continued at St. Paul’s Anglican Church in St. Carol’s from where the funeral was held on Sunday, September 24th, 2017 at 3:00 pm with Rev. Katie Flynn officiating. Interment followed in St. Paul’ Anglican Cemetery in St. Carols. 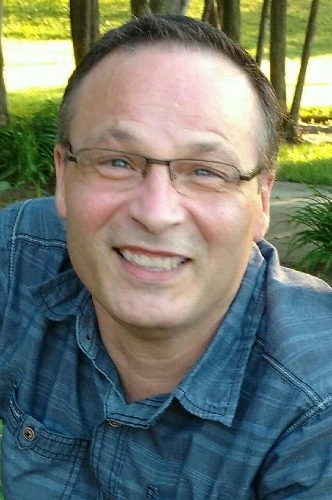 Funeral arrangements entrusted to Kerry M. Fillatre’s Funeral Home, St. Anthony and Roddickton, Lee Nippard Funeral Director.